Last week, as people from across the Cook Islands gathered in Rarotonga to celebrate fifty years of free association with New Zealand. Prime Minister Henry Puna continued to raise the possibility of more independence, and a seat at the United Nations. As we hear from Neal Conan in our latest Pacific News Minute, the bid is on hold, at least for now. From New Zealand's point of view, the issue is a no-brainer. In Rarotonga last week, Prime Minister John Key said if the people of the Cook Islands want a separate seat at the UN, they would have to give up New Zealand citizenship. Critically, that citizenship allows Cook Islanders to live and work in New Zealand, much as Puerto Ricans can move to other parts of the U.S. Since the Cook Islands can offer few jobs, those Kiwi passports are precious. 62,000 Cook Island Maoris now call New Zealand home. Other Pacific Islanders face strict quotas if they want to move to New Zealand, and, amid sea level rise, New Zealand expects more and more climate migrants. From the Islanders point of view, free access to opportunities in New Zealand comes at a price. Young people migrate and often don't return. Many islanders regard depopulation as a threat to language, culture and identity. 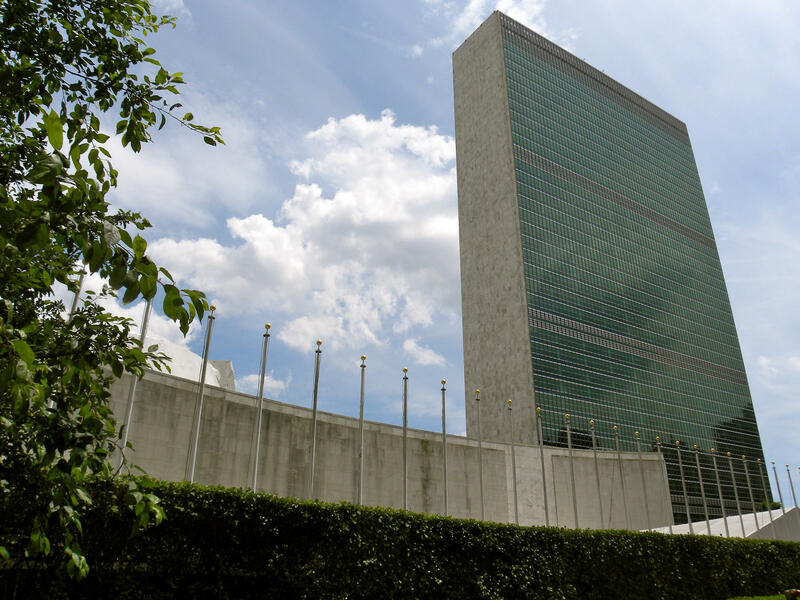 Along with the dignity of sovereignty, UN membership could give the islands leverage to secure more foreign aid, but it's hard to see how the UN could agree unless Cook Islanders surrender New Zealand citizenship. In Rarotonga last week, Prime Minister Key said most Cook Islanders don't want to do that and that a separate UN seat would be inappropriate. Prime Minister Puna noted that, fifty years ago, innovative thinking created the world's first free association and that innovation could happen again. He said there might be an opportunity for more talks at next month's meeting of the Pacific Islands Forum. Political attention in the United States is already centered on next year’s presidential election. But a national vote coming next year in New Zealand has a different focus—and new developments this week. HPR’s Bill Dorman has more in today’s Asia Minute. 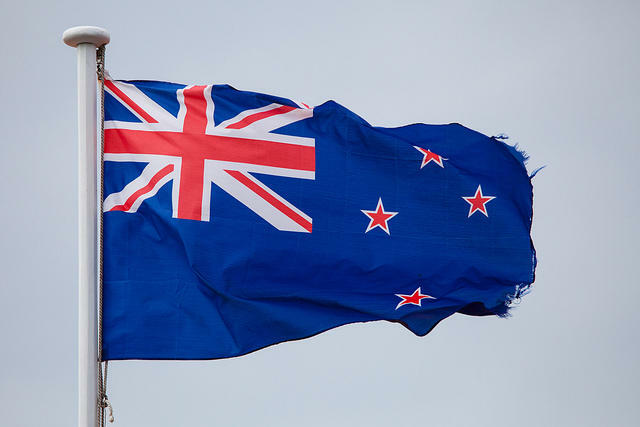 New Zealanders are getting a chance to change their national flag. The one in use since 1902 features the British Union Jack in the upper left hand corner, with four red stars representing the Southern Cross constellation on a blue background.